The Cuneiform Digital Library Initiative (CDLI), in partnership with the Museum of Art and Archaeology, University of Missouri-Columbia (MAA-UMo), is pleased to announce the addition of new digital content to its web offerings. 29 of the 36 cuneiform artifacts in the MAA-UMo are on long-term loan from the Missouri School of Religion (formerly “Bible College of Missouri”), Jefferson City, Missouri, and of these, 14 were recently published in A. Goetze, Yale Oriental Series 15 (see the online listings, and CDLN 2010:004; the suspicion voiced there that the MSR texts were in fact at UMo-Columbia is therefore confirmed--they were transferred there 37 years ago). The remaining 15 inscriptions as well as seven further pieces in the MAA-UMo collection are, so far as we have been able to ascertain, unpublished, aside from some few references in popular press outlets. Last month, as part of a digitization mission through Missouri, Indiana and Michigan, UCLA graduate student Michael Heinle scanned the artifacts, and the results of the UMo effort have now been added to CDLI pages, viewable here. We welcome the inspection of these images by specialists, and are grateful for their corrections of our catalogue, or notices of their interest in publishing the unedited texts in the collection. The imaging and image processing were made possible by funding from the Andrew W. Mellon Foundation, and are part of the on-going mission of CDLI to ensure the long-term digital preservation of ancient insc-riptions on cuneiform artifacts, and, in furtherance of cuneiform research, to provide free global access to all available text artifact data. The Sungkyun Journal of East Asian Studies (SJEAS), published since the year 2001 by Academy of East Asian Studies (AEAS) at Sungkyunkwan University, Seoul, Korea, is a referred multidisciplinary journal dedicated to East Asian Studies. With original contributions from all parts of the world, the SJEAS enjoys thriving reputation and increasing readership in the field of East Asian Studies. The SJEAS published biannually in April and October has been selected for coverage in Thomson Reuters' Current Contents / Arts & Humanities, and Arts & Humanities Citation Index. The SJEAS publishes articles, research notes, and book reviews relating to East Asian matters. The SJEAS also seeks original academic papers, which delved into the past and present of East Asia, primarily within the field of the humanities. Research areas the SJEAS prefers include philosophy, religion, art, anthropology, archaeology, literature, history and culture. Scholars considering submission are encouraged to use a multidisciplinary approach which transcend the conventional boundaries between these subjects. Paper on social science are also welcomed as long as topics and methodologies benefit and broaden the perspectives of humanities. Sponsored by the AEAS, which aims to promote interdisciplinary research relating to the region of East Asia, the SJEAS generally supports academic interests and goals of the AEAS. While respecting explorations of the past and the present of East Asia that remain within traditional boundaries, the SJEAS also seeks papers that deal with East Asia in its whole as well as works, which explore common identities and mutual contrasts found in East Asian countries. All contributions are peer-reviewed and subject to final decision by the SJEAS editorial committee. Please consult the section "How to prepare manuscript" under "Submissions" menu for stylistic requirements. The Cuneiform Digital Library Initiative (CDLI), in partnership with the Saint Louis Art Museum (SLAM), is pleased to announce the addition of new digital content to its web offerings. As with many modest collections compiled from a number of sources, the 42 cuneiform artifacts in the Saint Louis Art Museum consist of a larger number of Ur III accounts, and of smaller groups of Old Akkadian, Old Babylonian and neo-Babylonian/Achaemenid texts. Last month, UCLA graduate student Michael Heinle was able to scan the artifacts as part of a digitization mission through Missouri, Indiana and Michigan, and the results of the SLAM effort have now been added to CDLI pages, viewable here. 32 of the texts have been published in some form, most (nearly all of the Ur III texts) by R. David Freedman in concise catalogue entries in his 1975 Columbia University Thesis "The Cuneiform Tablets in St. Louis" (though we note that neither CDLI nor BDTNS is in possession of transliterations of the Freedman SLAM texts; Mr. Heinle is now working to remedy that gap in our coverage). Ten are not known by us to have been edited, and we welcome publication references, or notices of interest in publishing these texts by specialists. The imaging and image processing were made possible by funding from the Andrew W. Mellon Foundation, and are part of the on-going mission of CDLI to ensure the long-term digital preservation of ancient insc-riptions on cuneiform tablets, and, in furtherance of cuneiform research, to provide free global access to all available text artifact data. It will not escape the readers of this notice that Mellon also supports the SLAM staff member who organized the visit by Heinle in St. Louis. 'Iconic images from the tomb of Tutankhamun' is a display of twenty selected photographs by Harry Burton in Art (formerly Green's) Cafe, 14 Bonn Square, Oxford, a popular student meeting place. As of today, the number of email addresses subscribed to AWOL's feedburner email notification service is 2,411. The subscriber list increases by about one hundred each month. AWOL' s Alphabetical list of Open Access Journals in Ancient Studies currently includes 894 titles. AWOL went on line January 6, 2009. Since then we have had 340,320 page loads, from 202,839 unique visitors. 56,560 of these made more than one visit. The Cuneiform Digital Library Initiative (CDLI), in partnership with the Kalamazoo Valley Museum (KVM) located in Kalamazoo, Michigan--established in 1881 in the city’s library basement and since 1991 operated by the Kalamazoo Valley Community College--is pleased to announce the addition of new digital content to its web offerings. In 2007, Andrea Seri, then at Harvard University, published an edition of the collection (CDLJ 2007/1), but, due to funding constraints, we could not have the physical artifacts imaged according to CDLI’s fatcross standards. Last month, UCLA graduate student Michael Heinle was able to scan the 61 Kalamazoo text artifacts as part of a digitization mission through Missouri, Indiana and Michigan, and the results of the KVM effort have now been added to CDLI pages, viewable here. The imaging and image processing were made possible by funding from the Andrew W. Mellon Foundation, and are part of the on-going mission of CDLI to ensure the long-term digital preservation of ancient inscriptions on cuneiform tablets, and, in furtherance of cuneiform research, to provide free global access to all available text artifact data. As part of its ELECTRONIC PUBLICATIONS ON-LINE, the Oriental Institute Publications Office announces an additional letter, 'I, for the Chicago Demotic Dictionary, edited by Janet H. Johnson. This document is available in the Adobe Acrobat Portable Document Format (PDF) file. The Egyptian Journal of Remote Sensing and Space Sciences is a peer reviewed journal under the responsibility of the National Authority for Remote Sensing and Space Sciences (NARSS). It aims at publishing quality research scientific articles that will cover all aspects of remote sensing and its applications in different subject areas such as: geology, mineral exploration, hydrogeology, geomorphology, planetary geology, soil sciences, agriculture, space archeology, surveying, urban planning, environment, engineering geology, image and signal processing, coastal research and space sciences. Articles should be concise, innovative and of interest to a broad spectrum of readers. Egyptological covers all areas and periods of ancient Egyptian prehistory up to and including the Coptic period. If you have an interest in Ancient Egypt we hope that you will find articles, exhibition, book and DVD reviews, and much more value-added content to keep you entertained and informed. Journal features hand-picked research papers produced to academic standards and subjected to a rigorous editorial review process which follows guidelines for academic publications. Papers in Journal will usually refelct the specialized research interests of the authors. Magazine publishes articles, book, television and DVD reviews and exhibtion and conference reports. Articles tend to be several pages long and are aimed at a wide audience. All articles are subject to editorial review. Colloquy is the place for short pieces, quick reviews and informal articles on a vast variety of topics. There are also a frequently changing photo album contributed by readers, events and courses listings and our Discussion forum for asking questions, making suggestions and putting forward ideas. This section will be updated on an ad hoc basis. Expect to find a real mix of content here! Each issue will include at least three major articles in the Journal and Magazine sections with many more features and reviews to browse and enjoy, which will be added to the website on a more regular and less formal basis. Our editorial and technical staff are all volunteers, and our writers all contribute articles free of charge. This enables us to operate both the Editions and the Magazine section without advertising or other commercial input. By accepting advertising in the Colloquy section we are able to pay hosting and other costs whilst ensuring that the magazine remains free of charge to all visitors. We very much hope that you enjoy Egyptological. Don’t forget to get in touch with us if you have any questions or ideas. The first issue will appear on June 30, 2011. Mediaeval Palaeography is a science in its own right, and a long learning process is necessary to master it. It is not only the art of reading writings of the past, but it also encompasses the history of writing, the analysis of forms and contexts of writing (material culture, social History, etc.). The purpose of this interactive album, consisting in a collection of transcription exercises, is not to be a substitute for a proper learning of this science, but simply to allow students or amateurs (genealogists, History enthusiasts, etc.) to train themselves in the practical aspect of palaeography, that is reading manuscript texts. To go further, you can consult the "Paléographie" section on the French portal "Ménestrel", or the dossiers proposed by the Ecole nationale des chartes. To learn how to use the exercises, you can read the help page. Notice: this website is available in English for the most part. Only the introduction (short description) of each exercise is in French, although the text is short. 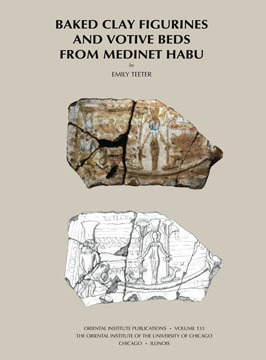 This catalog presents the entire corpus of 272 baked clay figurines and votive beds excavated at Medinet Habu in Western Thebes by the Oriental Institute of the University of Chicago during its 1926-1933 campaign. The figurines represent women, women with children, men, deities, and animals. They date from the sixteenth century B.C. to the ninth century A.D., illustrating permanence and change in themes of clay figurines as well as stylistic development within each type. The group of votive beds and the small stelae made from votive bed molds are among the largest and most diverse collections of such material. Each object is fully described and illustrated and is accompanied by commentary on construction, symbolism, and function. "The Assyrian Dictionary of the Oriental Institute of the University of Chicago: Vol 20 U/W. Edited by Martha T. Roth. 2010." The Chicago Assyrian Dictionary was conceived to provide more than lexical information alone, more than a one-to-one equivalent between Akkadian and English words. By presenting each word in a meaningful context, usually with a full and idiomatic translation, it recreates the cultural milieu and thus in many ways assumes the function of an encyclopedia. Its source material ranges in time from the third millennium BC to the first century AD, and in geographic area from the Mediterranean Sea in the west to the Zagros Mountains in the east. The Chicago Assyrian Dictionary has become an invaluable source for the study of the civilizations of the ancient Near East, their political and cultural history, their achievements in the sciences of medicine, astronomy, mathematics, and linguistics, and not least the timeless beauty of their poetry. Volume 20: U/W marks the final volume of the set! Posted today in Dig-it-al NEA Near Eastern Archaeology's online forum featuring original essays, reviews, and other content to complement the print publication of the journal. This Forum stems from the session “Teaching Archaeology to Undergraduates and K-12 Schoolchildren” co-chaired by Ellen D. Bedell and Eric H. Cline at the 2010 ASOR Annual Meeting in Atlanta. The theme of the 2010 session was the use of technology to teach archaeology. 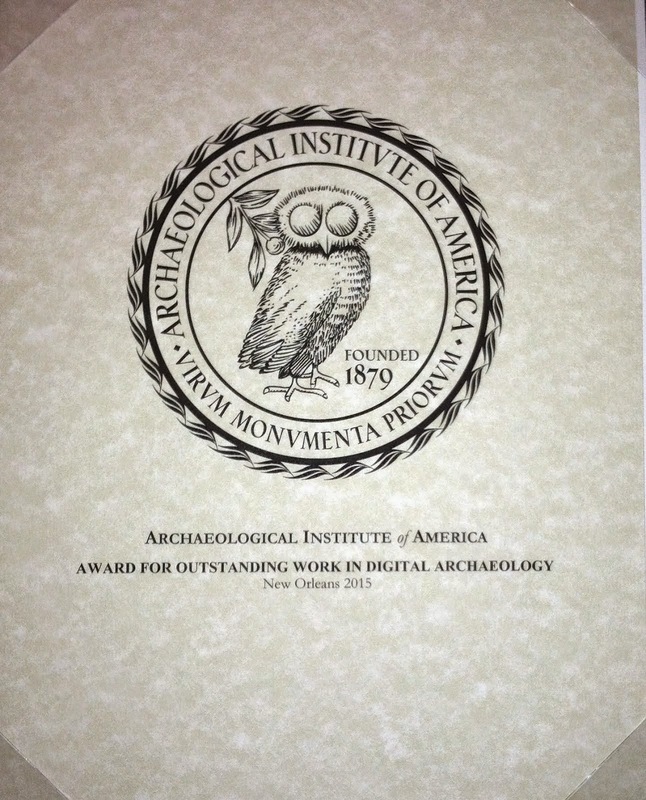 Four of the presentations are being made available on Dig-it-al NEA in hopes that these papers inspire others to incorporate similar techniques and technology into their own curriculum. IRCICA FARABİ digital library is a software Project developed through great care and effort of our expert crews. The project took three years in the making and the updating and the maintanence of the project still continues with ever increasing zeal and vigor. Our software is developed as a stand alone software enabling it to work as a software package in other digital libraries as well, fort he dorementioned purposes any instution that requests can install and setup FARABİ digital library software. Our libraries and cultural instutions can, by utilising the FARABİ software, display and make available their digital collections for and to their users regardless of distance or time. Consequently many institutions will be able to organise and setup their digital collections on the internet. In summation FARABİ is a software solely designed to facilitate and help our libraries, in displaying their digital collections through internet and intranet for researchers, historians, academicians, graduate, undergraduate and Phd students for their needs in the digital domain. Libraries around the world can with great ease use the FARABİ software, with its strong software build and support, to make available their digital collections, comprising of items such as books, periodicals, maps, postcards and the like, to the public domain and edxperts in their field of research. Photograph collection of various topics including the archive of Sultan Abdulhamid II.